I am currently taking an online art quilt design class, “Working In Series”, taught by Elizabeth Barton through the Academy of Quilting. It is a very interesting class. 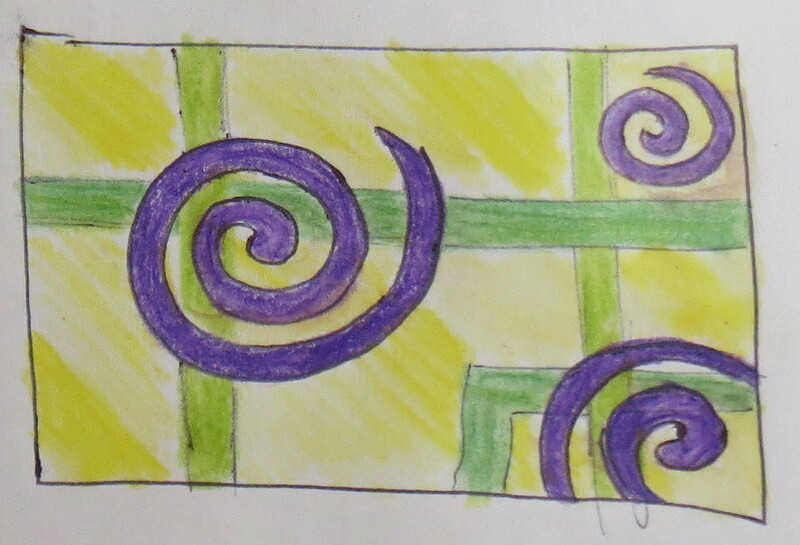 As my class project I am working on quilts with the theme of circles. 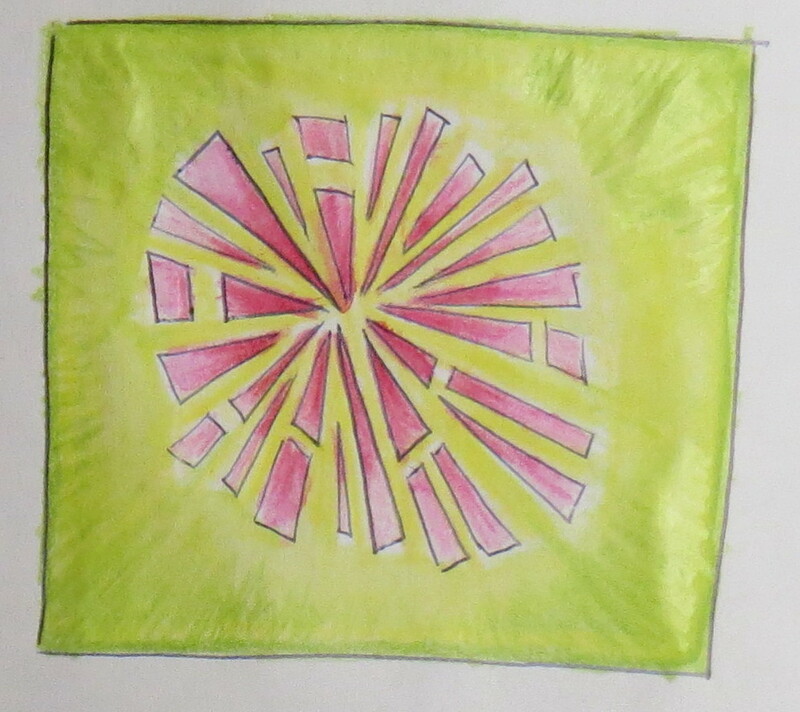 I have chosen to concentrate on the idea of fractured circles using gradated color schemes. 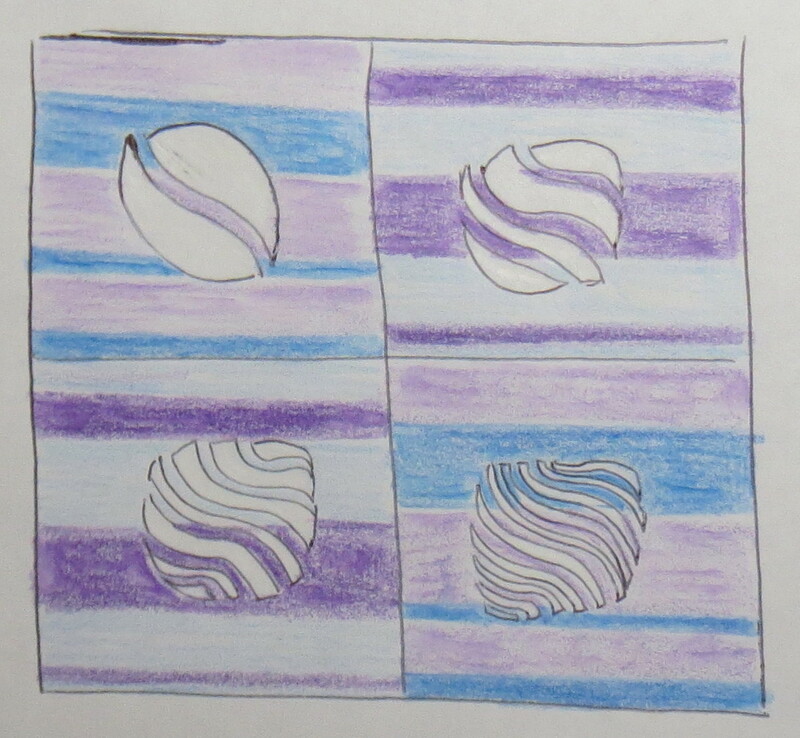 One of the teacher’s suggestions was to use watercolors to come up with quilt designs and work out color schemes. I don’t own any watercolor paints at the moment, but I did find some watercolor pencils in my art supplies, so I decided to work with them. This is not going to teach me one of the main lessons the teacher intended — which is to work fairly fast and loose. I think I will purchase a small watercolor paint set next time I am off the island so I can learn the lesson she intended (since working fast and loose is definitely not my style! 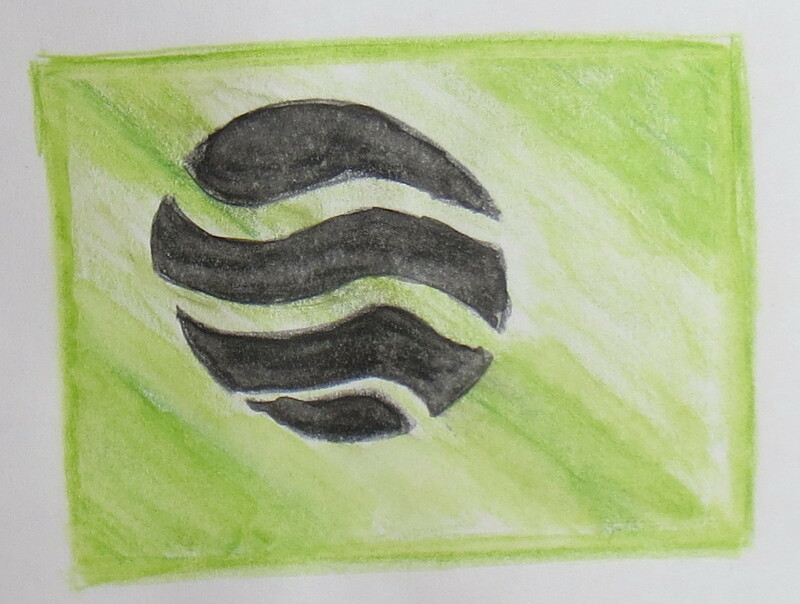 ), but for now I am working with my watercolor pencils. 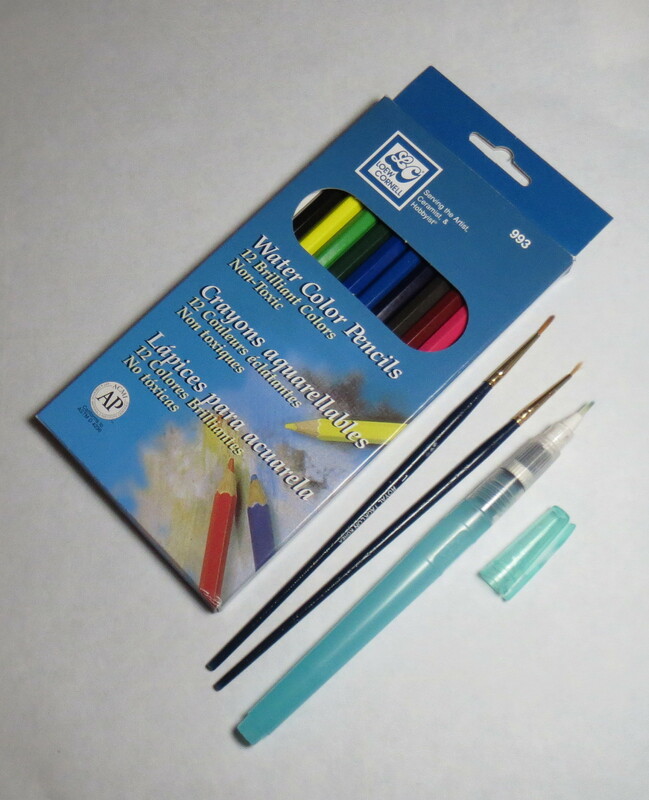 You can find some excellent videos online describing how to use watercolor pencils, so I won’t go into too much detail here. But here are my tools and the results I have developed for my “fractured circles” theme. And here are a few of my results. I did lots of them, so I am only showing you the ones I like best. I like the ability to explore color and design options quickly without wasting any fabric. The color really helps me evaluate the designs. As you can see I had limited color choices due to my set of only 12 pencils. If I learn anything more from the actual watercolor paints (especially if it actually succeeds in loosening up my style), I will report back later. This entry was posted in Art Quilts, Contemporary Quilts and tagged art quilt design, fractured circles, watercolor pencils, working in series on April 19, 2014 by Shirley at Mystery Bay Quilt Design.